Jacob Zuma has resigned from his position as President of the Republic of South Africa. He has not yet confirmed this verbally, nor has he released the letter of resignation. Still, it is accepted that he has resigned. We may or may not have resigned for him: it doesn’t matter who resigned him, only that he has resigned. Those of us who know and accept that he has resigned will simply spread the word that he’s resigned until it is known from one end of South Africa to the other that he has resigned, and that anybody who says otherwise – including Zuma himself – is woefully mistaken on the matter. Spread that. Yell it from the rooftops. Tell it on the mountain. Share it on twitter. Tell your friends and family. One by one, your friends, families, colleagues and neighbors will also see it. How could they have doubted it for an instant? Zuma has resigned, no matter what even Zuma says on the matter. He doesn’t call the shots. WE do. He doesn’t confirm the facts. WE do. We confirm that he has resigned. No President can lead people who resolutely believe and accept that he’s resigned. If he speaks, we’ll chant, “You’ve resigned!” and accept nothing beside. He’s resigned. It’s a fact whether he acknowledges it or not. Presidency can be so stressful – so many decisions to make, problems to solve and people to please. Among these many stressors, Jacob Zuma may have forgotten that he’s resigned. This is understandable and we’ll pardon these effects of this strain, and relieve him of his duties. Because he’s resigned. The Office of the Presidency may deny that this has happened. It doesn’t matter, for we will simply chant, “He’s resigned!” in spite of their denial. In its confusion, the media will release reports that say he hasn’t resigned. In response, we will simply click the reply button and say #HesResigned in the comments section. We will write letters to editors, gently correcting them, saying #ZumasResigned. On forums, in message boards, on every conceivable platform, we will say, #ZumasResigned. Oh, I can already hear the protests. “But – but – this is treason, it’s silly, it’s sedition, it’s untrue, it can’t be, it’s a rumour…!” So? He’s resigned, and the brief consequences of highlighting this fact cannot postpone the inevitable. And it’s inevitable because it’s happened already. And it’s happened already because WE say it’s happened already. There is no need for him to deny or affirm this fact. There is no need for the media or society to investigate the news: we are now deciding and creating the news just as President Zuma has decided and created the truth about Nkandla (and other issues) all along. How can it be a mere rumour that he’s resigned if so many people are saying the same thing? Spread the news. Jacob Zuma has resigned. Bloody marvelous. Siya for president. Sad really, we have a thriving country with the most amazing people and tallent and then our government retards us. Even I would be a better choice… Will be your 2IC Siya. Siya, I applaud you for a well written blog, well articulated. Young people like you will make our Country a better place. Yes I got it: #ZumasResigned!!! This really is quite intriguing, You might be a really skilled blogger. I have joined your rss feed and appear forward to seeking far more of your great post. Also, I’ve shared your website in my social networks! This is a very good topic to speak about. Sometimes I fav stuff like this on Redit. This write-up probably wont do effectively with that crowd. I will be certain to submit something else though. How awesome is this? Well done Siya! I’ve just come across this through Facebook as one of my friends shared it & i will personally be sharing it myself! Now we can all say “We blame ourselves for expecting anything more than absolutely nothing from you Zuma.” haha. excellent article! Or let me follow you. What i know is that Zuma is the former president of south Africa he resigned. Very good choice of word Siya! I will spread the word in Namibia as well. Keep it up and we need people like Siya. 300 thumbs up!!! Jean Marais, please do that! Awesome! Look as you can see by the comments that means you have people behind u, so let’s make it offical !!! A movement that saying we want Zuma out and make it out dar world wide???? Good writting siya..we have been waiting for this long time so its about time hey. we are with you all the way#ZumaResigned!! Brilliant ! Will spread the good news! except this web sie presents quality based content. Thanks for taking the time to write this piece…SONA2015 is Apartheid all over again….censoring of the media, illegal use of the Police, the absolute disdain for the opposition, spies blocking signals, the tv crews not showing the truth, Parliament been mocked….it was a disgrace to all those who fought and died. We must note that South Africa is NOT A DEMOCRACY, we are a one party state, we shall only be a Democracy once we have a change of power once. So please the struggle has only just begun…. To late, damage is done. Country in turmoil, fracking in Karoo given the go ahead. We are the laughingstock of the world. Somethings you just cant repair. Now to stop the bleeding. This article appears to be utter nonsense and more than likely couldn’t be further from the truth. In my opinion the author of this post appears to be hopelessly delusional, basing he’s belief about our state president’s employment status on obsessively wishful thinking…UNLESS he possesses information about the state president’s employment status, that the general public of South Africa is not privy to…. Jonathan David Ball, this is not an article, it is a pressure group! Dude, you missed the point. He says we all should spread the news of his resignation, until this news has been heard by all, and then whether he has or has not, nobody will pay attention to him. He will be reduced to the worthless peace of nothing he has always been. 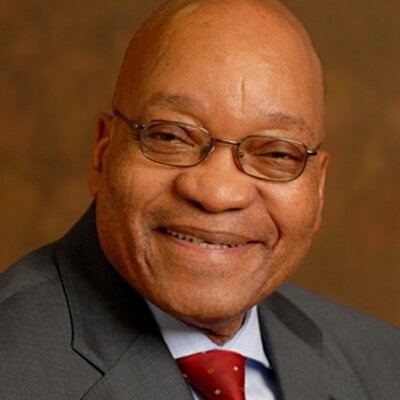 Cannot everyone see how seriously ill Jacob Zuma looks? He is gaunt and his clothes are hanging on him. His facial bones appear skeletal. It has been rumored for sometime that he has health issues such as high blood pressure, diabetes , some form of a viral disease but what is worrisome is that he “Looks Unwell.” Surely South Africa cannot be lead by a president who has major health issues. Look carefully for yourself and you see an unhealthy human. This is n great post and love the idea and this is what South Africa is all about. The youth of the nation in all colors and races standing up for what they want and believe is right. Will share this a thousand times over. Fantastic piece of journalism Siya, let’s start the real ervolution! We? What we? A majority? A large number? See. We as a people have been divided. Firstly not by the government, but by the world government. Now you might say there is no such thing as a world government but listen to what I have to say and think about it again. Where does our money come from? See all you have to do is follow the money and find the criminals. Nlthe money I am talking about is now the couple of hundred million our PEON used to renovate his house. It is every single Rand each one of the PEOPLE, the WE own. See there is something called the Federal Reserve. It issues our money. IT IS OWNED BY PRIVATE PEOPLE. AND IT REPORTS TO NO GOVERNMENT. Currency is not backed by gold or silver for less than 100 years now. Actually the federal reserve banking system is now in power for just more than 100 years. These people who issue us our money, they are the world government. They call the shots, they start and fund and end the wars around the world. They do not yet have controll of the entire world yet but that is their endgame. Order out of chaos. Divide and conquer. Now meanwhile here in South Africa. (And around the world) most people are asleep. Brainwashed by all the most powerful hypnotic techniques ever known to mankind. The media. How many people do you know that dont watch TV? How many people do you know that dont watch tv or listen to the radio? These are just two of the most powerful examples to use. 79% of people accept the news they hear on tv and radio to be accurate. Thank God there are 21% already starting to wake up. The news they feed us, the programs they corrupt us with. The lies and horror they scare us with. The terrible fake realities they divide us with. Ever thought why political parties do marketing campaigns before elections?? Spend countless millions to propigate the dillusional reality to us the people that we have choice. Your vote counts…as one more that believes we are free. Faith is good really it is, but WE THE PEOPLE should stop blaming ZUMA and start breaking the shackles of financial slavery. Dont get me wrong. The immage of zuma portrayed by the media is that of a man with no empathy or love for the people that believe he calls the shots. He has power the do good but he doesn’t. Remember his power is not absolute. He has to answer to the people that put him in power. And so does the ANC as a whole. Or any other party in power. I believe that there will come a day that the people of the world will realise we must unify on this topic and bring the solutions to the table to change the financial system as a whole. Remember one man can have an idea. But 60million men woman and children working on a solution to that idea can bring a revolution. Actually not 60million but 7 billion. Remember that the people who uphold this system are a great minority on this planet. Less than 100thousand people govern and uphold the biggest pyramid scheme in the world. There are countless consequences of this system and discussing all of the at once.. for 1 person..would be trying to write a book in one go. But starting at WE. US. THE PEOPLE. If every man woman and child in South Africa started giving thought on this today we would have filled a library with solution books tommorow. Yet sadly. As I said. We are divided. And that is how the ruling elite plan to keep it. may the day come that people will realize this system om monetary laws and hypocritical democratic systems are a scambto the people of the world. And as long as thy accept this system as correct and the best there is millions of children will die yearly of starvation. Many more killed and Impoverage by war and famine. Money has become the god of this world. And we have to make things right. perhaps an idea can change the world. But only if its heard. Peace to the world. Hi there,I check your new stuff named “President Jacob Zuma Resigns | sanitythinksoutloud.com” daily.Your writing style is witty, keep it up! And you can look our website about Jailan Sahmoud.